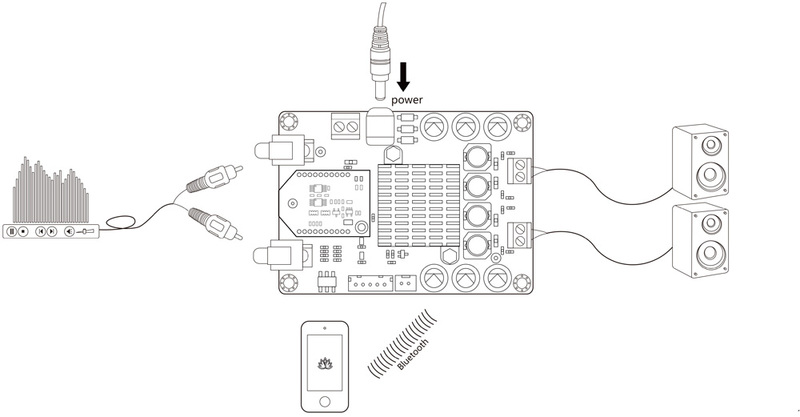 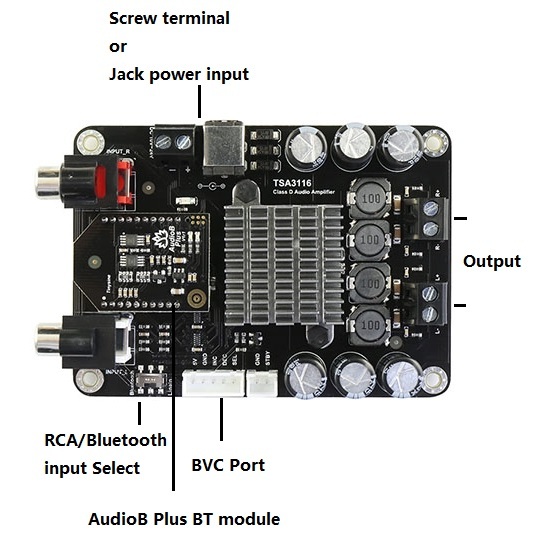 This is a 2x50W audio amplifier board with a new AudioB plus Bluetooth module that supports Apt-X. 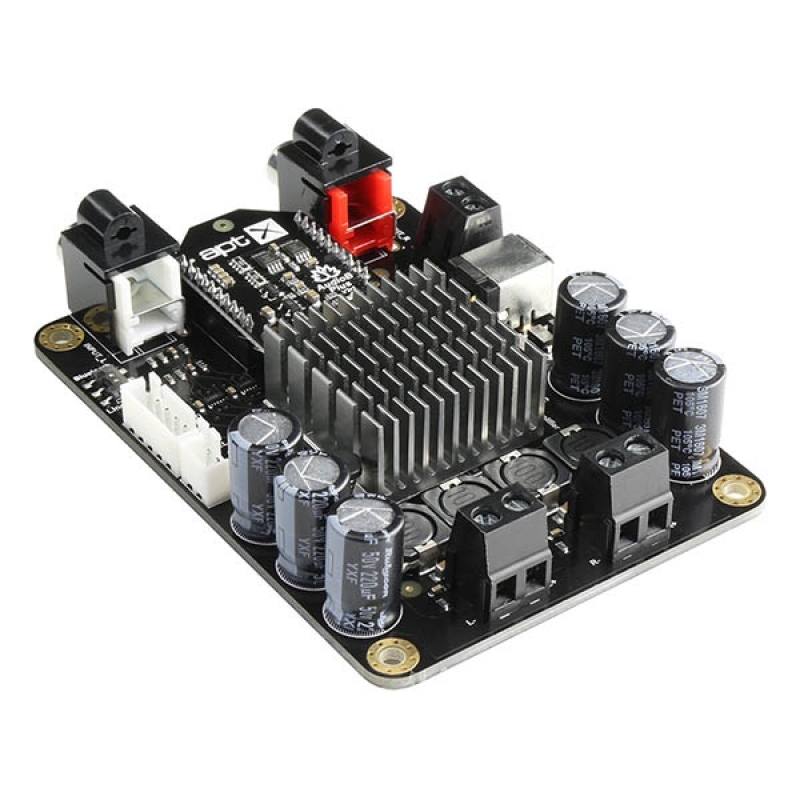 It has perfect class-D architecture(Based on TPA3116D2) and every channel has 50W power ouput. 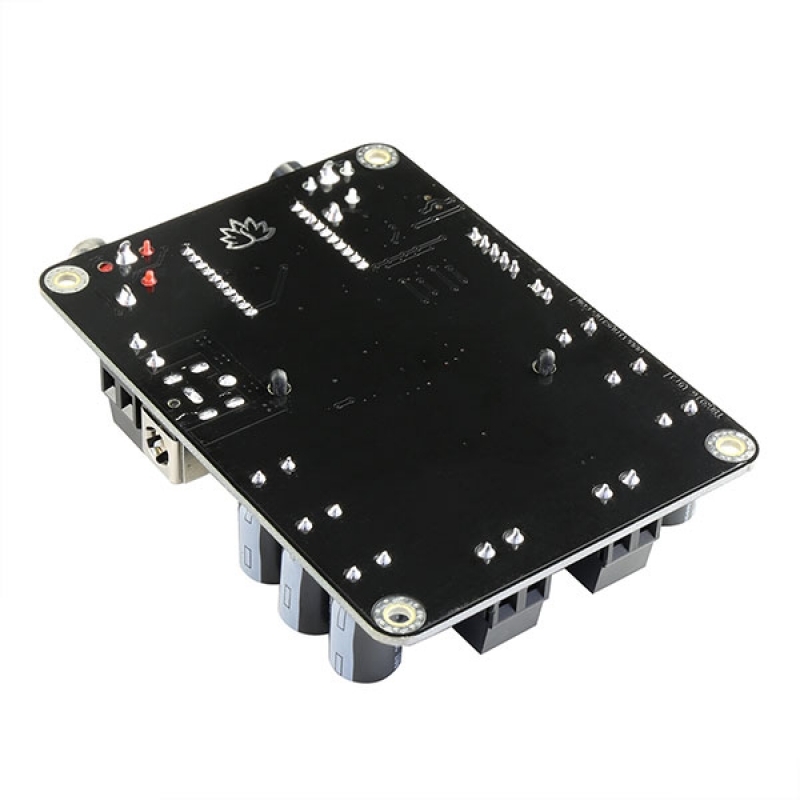 Both of channels are capable of outputting nominal power simultaneously and continuously. 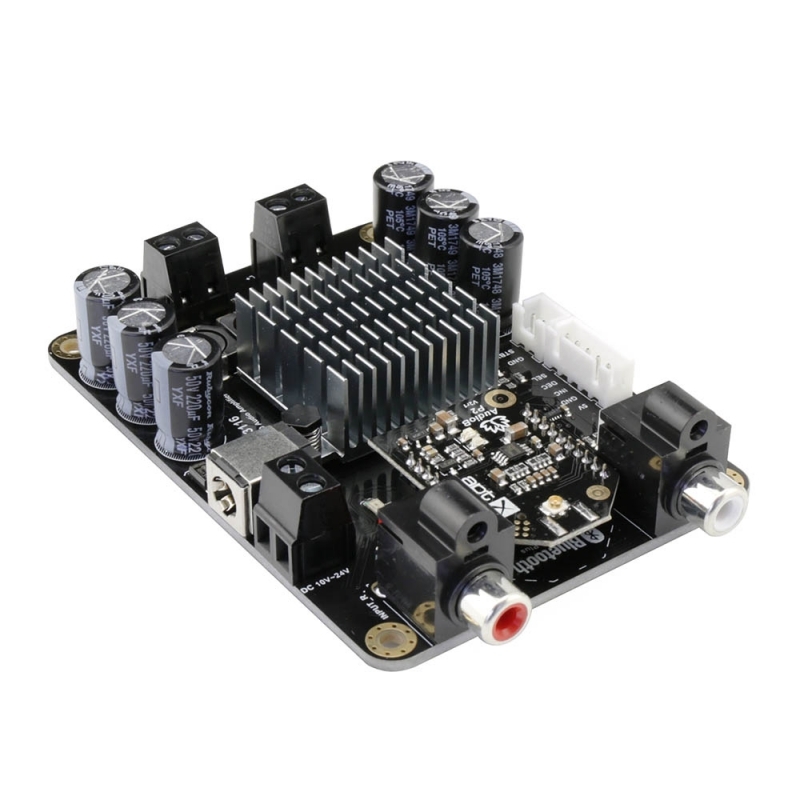 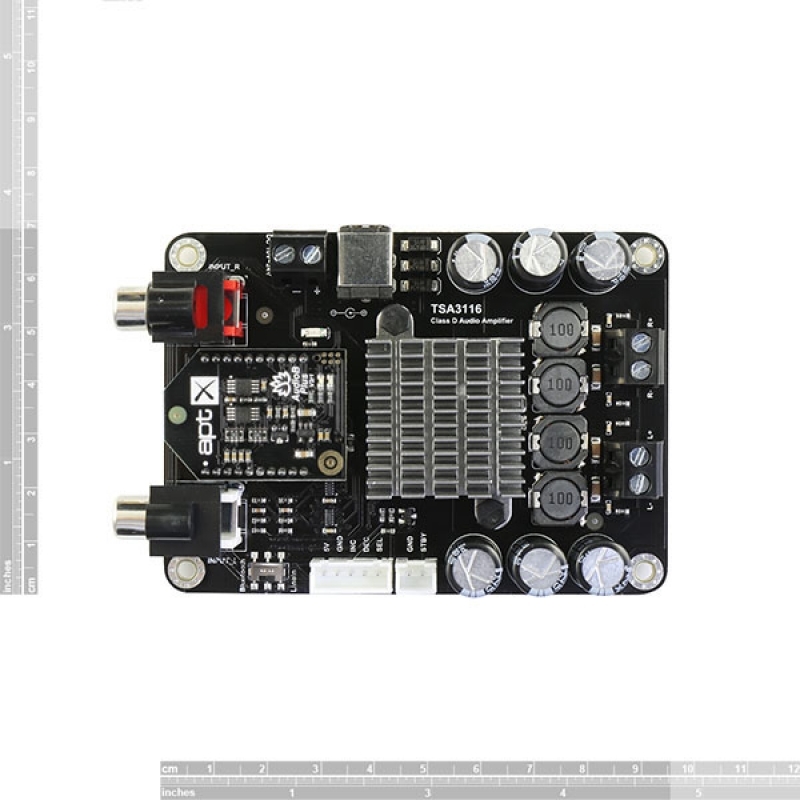 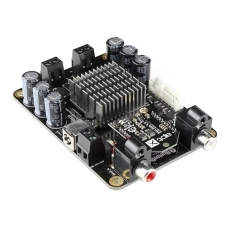 This board can be powered by any DC10V-24V power supply, it can be used to drive any 4Ω or 8Ω passive speakers.